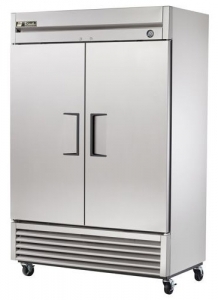 Commercial refrigerator is a very important appliance that is widely used in restaurants, delis, cafes, food stores, concession stands and food trucks. These units are often one of the largest investments your restaurant or food store is likely to make. Commercial refrigerators store most of the foodstuff in the restaurant. This cold storage is vital for the quality of the products you serve. 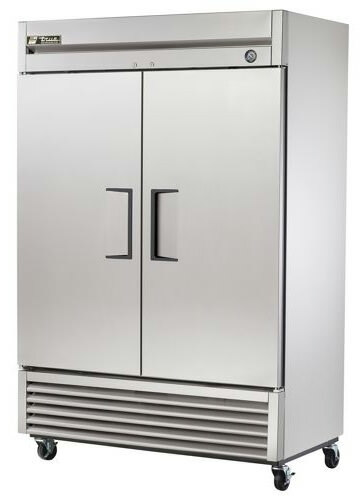 If a commercial refrigerator fails, it can cause further losses concerned with spoiled food. So should your fridge stop working, e.g. not cooling , leaking or not functioning properly, call us immediately. Our technicians are experienced in solving all kind of problems and work with all major brands of refrigerators. The refrigerator was broken down? Call us and use new service which is called commercial refrigerator repair! Even today, your refrigerator from any office, public places or working premises will work as usually. We offer the lowest prices and the best quality technical support. Return to the working process and comfort together with Sunny Appliance Repair! We know what concrete approach is needed, and the technique will be able to eliminate any damage just in few hours! The professional team of professional technicians, responsible managers and coordinated work - that's a guarantee that your equipment will be served with correct operations. We understand that the service commercial refrigeration repair should be realized in the shortest terms, and of course, we know that this failure can stop the working process or even your business. In our ranks there are only the best specialists in the industry, and each of our masters has qualified in this field of services. In addition to repair commercial refrigerators, we also maintain and carry out repair of refrigeration equipment. If during the warranty period, you have any problems; our master will come and remove them. You can be sure in the quality of our services, as we have said; we have extensive experience in this field in commercial refrigeration repairs. Repair of commercial refrigeration equipment and diagnostics of our master - that's not the whole range of services that we offer. You'll also get professional advice about the proper care of the commercial refrigeration unit that will help to prevent the damage. The main reason of failure is that owners think that these refrigerators are the same as those which are used in houses. That’s why not everyone knows the rules and nuances of working process.